Hooters, in Spokane Valley, serves up happy hour from 3-6 pm. Specials include: half priced chicken wings. 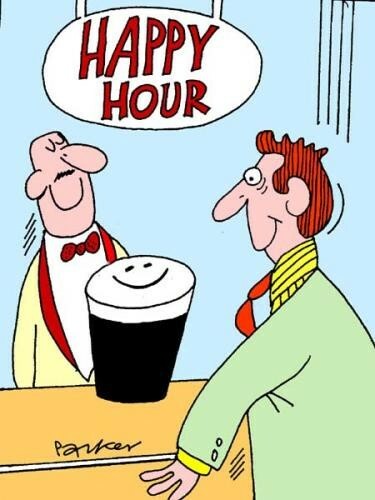 The MarQuee, in downtown Spokane, celebrates happy hour from 9 pm-close. Specials include: $1 keg drafts. Studio K, on the south hill, ushers in happy hour from 4-7 pm. Specials include: $2.50 pints and $2.75 wells. The Sidebar and Grill, in north Spokane, celebrates happy hour from 4-6 pm. Specials include: $.50 off beer.